Primary Investigator: Ingrid R. Olson, Ph.D.
We use cognitive neuroscience methods to study working memory, social memory, episodic memory, and general social cognition. Some of our studies will help us to understand and treat neurological and psychiatric disorders, such as frontotemporal dimentia, autism, and schizophrenia. Many of the disorders we study cause serious impairments and are very difficult to treat. Further research is essential to helping people who suffer from psychiatric and neurological disorders live normal, healthy lives. We also run some studies that aren’t directly related to the treatment of psychiatric and neurological disorders. These studies are valuable because they help us to understand how the brain creates the mind and what it means to be human. For the first time in human history, we humans are beginning to understand our own brains. It is a very exciting time for neuroscience! We are looking for healthy volunteers to participate in our experiments. We have openings for older adults, middle-aged adults, young adults, and teenagers (before a minor can participate, his or her legal guardians need to consent). These studies involve viewing images on a computer monitor and responding based on what you see. Sometimes, you’ll be asked to answer a series of questions about your social and emotional behaviors. Some studies involve the use of additional non-invasive equipment (e.g., a pair of special glasses). Our brain imaging studies are conducted at Temple’s new imaging center, funded in part by a $2.4 million grant from the National Science Foundation. This imaging center is located in the basement of Weiss Hall, at the corner of Cecil B. Moore and 13th Street. 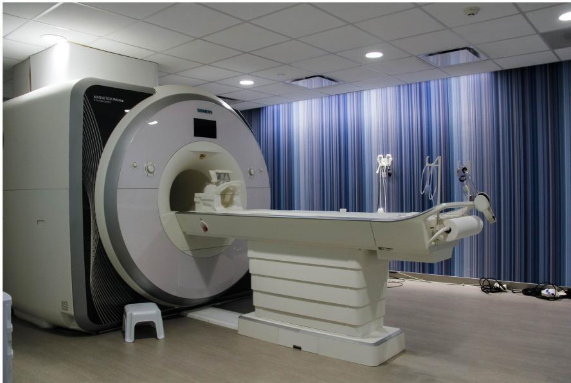 FMRI machines use magnetic fields to measure hemodynamic brain responses, so we can see how your brain activates in response to certain stimuli or actions. The procedure is completely non-invasive and does not use radiation. You will receive between $10 and $100 per hour, depending on the particular study, for study sessions. If you signed up through Temple University’s Department of Psychology’s research participant pool, you will receive course credit for your participation. Some studies may offer to enter you in a “lottery,” in which you can win between $50 and $500, depending on the study. We will compensate you for the cost to travel via public transit. The experimenter will inform you of your compensation before you agree to participate in a study.